My nephew Stephen from Houston, a brilliant intellectual [and more importantly a true gentleman], wrote this e-mail to me: "Mike, we saw Joshua Bell play Mendelssohn Violin Concerto [in Vail, CO], I have heard it played a million times recorded by the likes of Perlman, Stern and the like. The difference with Bell is, he has rewritten the solo a bit, not sure how I feel about that, not a complaint, just a question- how do you feel about that?" I e-mailed back to Stephen that was a great question. I told him the solo part he is talking about is called the cadenza. I talked about cadenza's in a previous post. The cadenza is an ornamental passage of the themes of the movement in a concerto that is played by the soloist [without the orchestra], usually in a "free" rhythmic style that is meant to show the virtuosity of the soloist. In my previous post on cadenzas I wrote: "As a concerto will have a certain flow to it, the cadenza might seem out of place to a first time concert goer. The orchestra will be silent as the soloist plays the cadenza, most of the time written by the composer himself, but sometimes the soloist might choose one written by another composer or one that he has composed himself. For example, many Mozart piano concertos have cadenzas written by Beethoven. So, the soloist can choose the cadenza written by Mozart or the Beethoven version or he might write one for himself." As I told Stephen, the cadenza is the only part of the concerto that can be altered by the soloist. 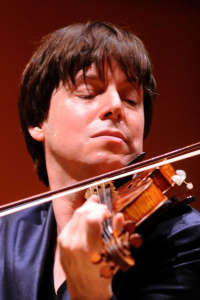 So, what Joshua Bell does in writing his own cadenza for the Mendelssohn concerto is totally permissible. It is just up to one's taste which version one likes better. Because, like Stephen, I have heard the cadenza Mendelssohn wrote himself played almost all the time for his violin concerto, I prefer that one a little more. But Joshua Bell's cadenza that he wrote for himself for the Mendelssohn is very nice too! While you may hear a different cadenza played in the same concerto at different times, it is impermissible to change any other part of the concerto. Every other note of the piece must be played exactly as written. If you are a first time concert goer and the program has a concerto in it, you might ask how will you know when the cadenza is being played, as many times the soloist will be playing alone at various points in the concerto. You can tell when the cadenza comes because the conductor will drop his hands to his side, and all of the orchestra members will take their instruments out of playing position. Then the soloist takes over by himself for what many times is a brilliant exposition of his command of the instrument. The cadenza is usually played in the first movement of the concerto [sometimes the third] and it will usually occur near the end of the movement. Many times [especially in a piano concerto] you will hear a long trill played just before the orchestra re-enters the concerto. I have two videos of the Mendelssohn concerto with two different cadenzas, with two of the greatest virtuoso violinists going today. The first video has Joshua Bell and the second Hilary Hahn. To show how perceptive Stephen was to pick up the different cadenza being played by Joshua Bell, listen to the cadenza played in the Mendelssohn concerto, first by Joshua Bell [his own cadenza] and then by Hilary Hahn [who plays Mendelssohn's cadenza as written]. In each of the videos I have marked where the cadenza's take place so you will be able to hear for yourself the different cadenzas used for the same concerto. In the first video I have the first movement only to let you hear the cadenza of that movement played by Joshua Bell. Then in the second video, I have the complete concerto [all three movements] with Hilary Hahn giving a brilliant solo performance in the Mendelssohn, one of the greatest concertos in the repertoire. In this video, that is conducted by Paavo Jarvi, you will see how the second movement Andante begins without a break after the first movement. The exciting third movement is marked: Allegretto non troppo-Allegro Molto Vivace. *note: Notice how both cadenzas [Joshua Bell's version and the Mendelssohn version played by Hilary Hahn] are within seconds of being the exact same length, and they both end in the same way to let the conductor know when to bring the orchestra back in-Also, I said in most cases the cadenza is usually near the end of the movement...the cadenza for the Mendelssohn violin concerto is nearer the middle of the first movement. *correction: As noted by "violin hunter" in the reply section, I cannot state with knowledge that the cadenza Joshua Bell used was written by him or he used a cadenza [other than Mendelssohn's] by someone else. I thank violin hunter for that correction. * update: upon further research I have found that, the cadenza played by Joshua Bell was indeed written by himself. 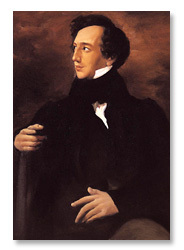 He related how this was one of his favorite concertos to play, but he never did feel comfortable with the cadenza written by Mendelssohn, so he wrote his own for this concerto. Please turn up the volume and enjoy this Tale of two cadenzas. A couple of points: It is, of course, quite (and immediately) obvious that Bell's cadenza is not the original written by Mendelssohn (with David's help) but I do like the cadenza - I had never heard it. However, it would be nice to know if Bell wrote it. The Julia Fischer you mention looks (and sounds) amazingly like Hilary Hahn. Might it indeed be Hilary? :-) As always, thank you for posting this. Yes, thank you so much for your correction Violin Hunter....what I did was put in a new video to this old post I did in 2012 but I forgot to change the text to incorporate the new video-i.e., that this was Hilary Hahn as soloist. You are also correct and I should have clarified that Joshua Bell's cadenza is not the Mendelssohn, but I don't know if he wrote that himself or he got it from someone else. Thanks, violin hunter!! Good topic. Though I'm no authority, my personal feeling is always to give the freedom and precedence to the performing soloist, but, with one important caveat. Being a traditionalist, I feel it is extremely important to stay within the period and style of the original composer. I have not heard the Bell cadenza but will hold my full judgement until I do. I felt the same way when there was disagreement between the great Claudio Abbado and Helene Grimaud. She stuck to her interpretation "guns" and refused to play the given concerto the way Abbado deemed appropriate. I feel it wasn't and isn't the conductor's call to tell a soloist how to interpret the music. The orchestra is supporting her, NOT leading her. That's my immediate reaction in a nutshell. Wow that was an interesting account. I tend to agree with you about the soloist having reign of their interpretation-You want everyone on the same page though and would hate to think tension between the soloist and the conductor would be evident in a performance Abbado and Grimaud.